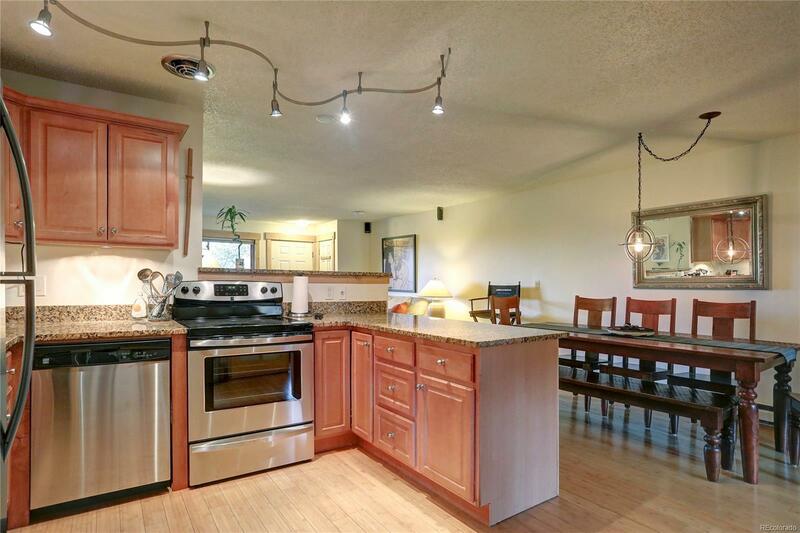 3 Bedroom 2 Full Bath TOP FLOOR condominium with views of the ski area and the valley below. Located a short walk to the free bus stop and the base of the Steamboat Ski Resort. Unit has been recently updated and features granite counters, stainless appliances, maple cabinetry, bamboo flooring, and knotty alder trim. Must see to appreciate the open floor plan. Gas fireplace in the living area adds ambiance and will keep you toasty on chilly nights. The TV has its own built-in cabinet and comes with surround sound speakers. Ski racks and boot heating racks are included in the ski closet. Plenty of storage with the owners storage room on the ground floor of the building. Pets allowed for owners and tenants (restrictions apply). Long-term and short-term rentals make this a great investment property or full time residence. Murphy bed is included with the sale.